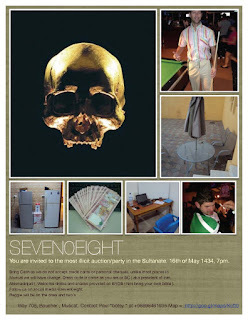 Tonight, there is a house auction with a twist - it's also a party. 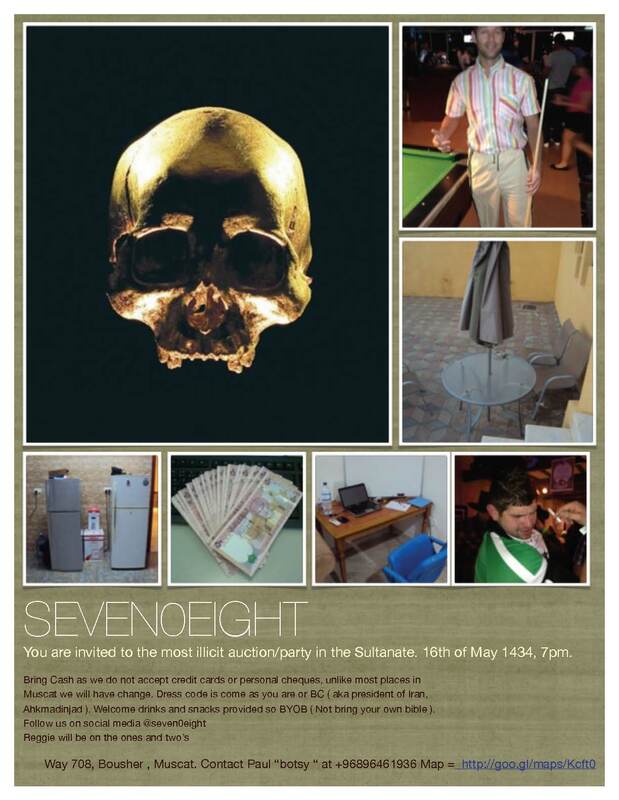 They're getting kicked out at the end of the month so they're having an auction party to give you the chance to pick up some great bargins, so come on down to the auction of the year at house 708. They'll provide some free punch and champaigne as well as a few nibbles but you're advised to BYO if you get thirsty. If you want a sneak preview of the items up for grabs just buy a wrist band for 1RO to become a VIP guest. Remember to bring cash as all items to be purchased on the night. Doors open at 7pm with the auction to start once we have good numbers. Resident DJ Reggie will be playing a few tracks to get some ambience. Hey Sythe! Great blog. One thing though, you always seem to write about events only on the day of. A little advance notice (day or two) would allow some of us to actually make it to these events. Just my 2 cents.